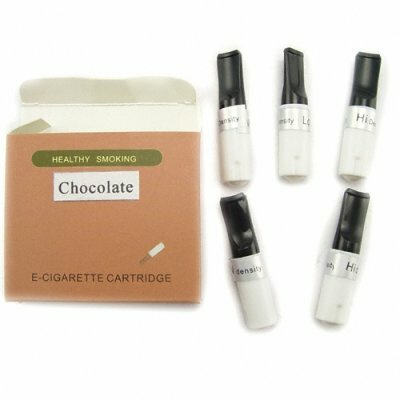 Successfully Added E-Cigarette Refill Pack w/5 Chocolate Cartridges (for CVSMR-201) to your Shopping Cart. E-Cigarette refill pack w/5 chocolate flavor cartridges for the CVSMR-201 electronic cigarette. E-Cigarette Refill Pack with chocolate flavored cartridges.